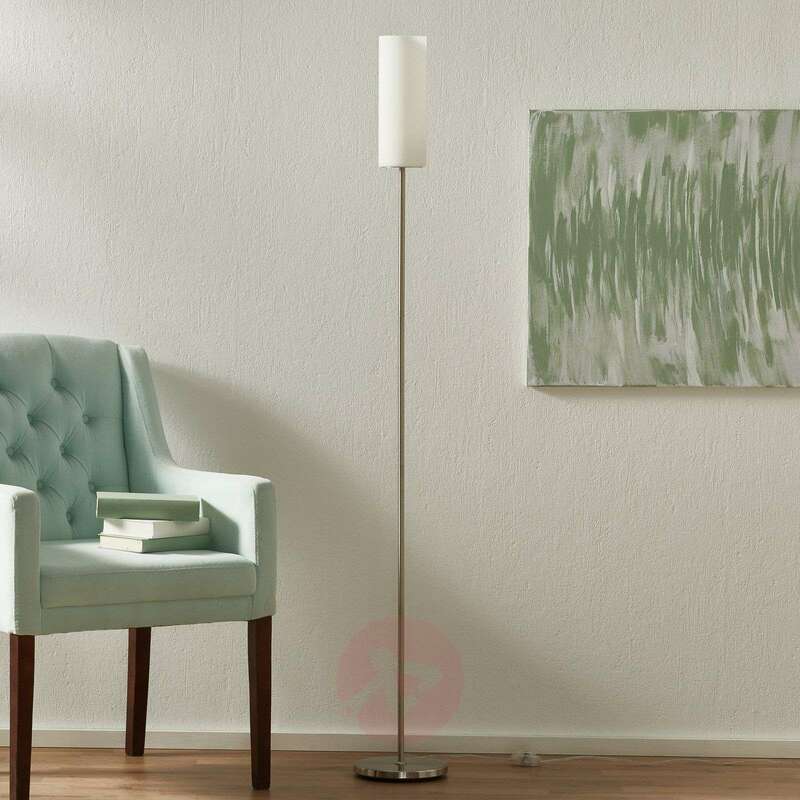 This floor lamp from the TROY collection presents itself with an appealing frame in a matt nickel finish. 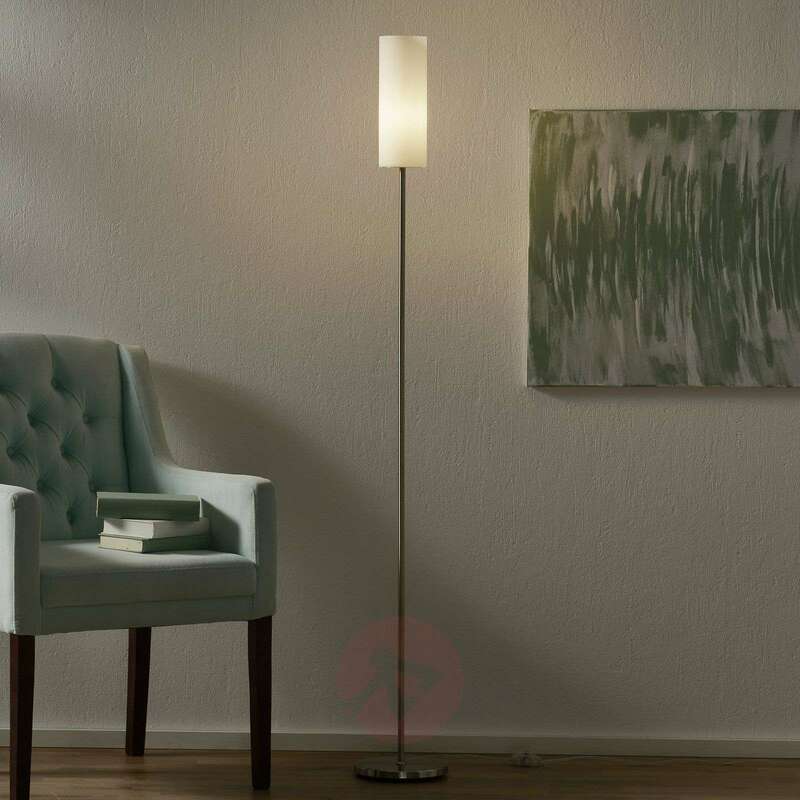 Its oblong glass shade in white rounds off the design and gives the TROY floor lamp a subtle touch. 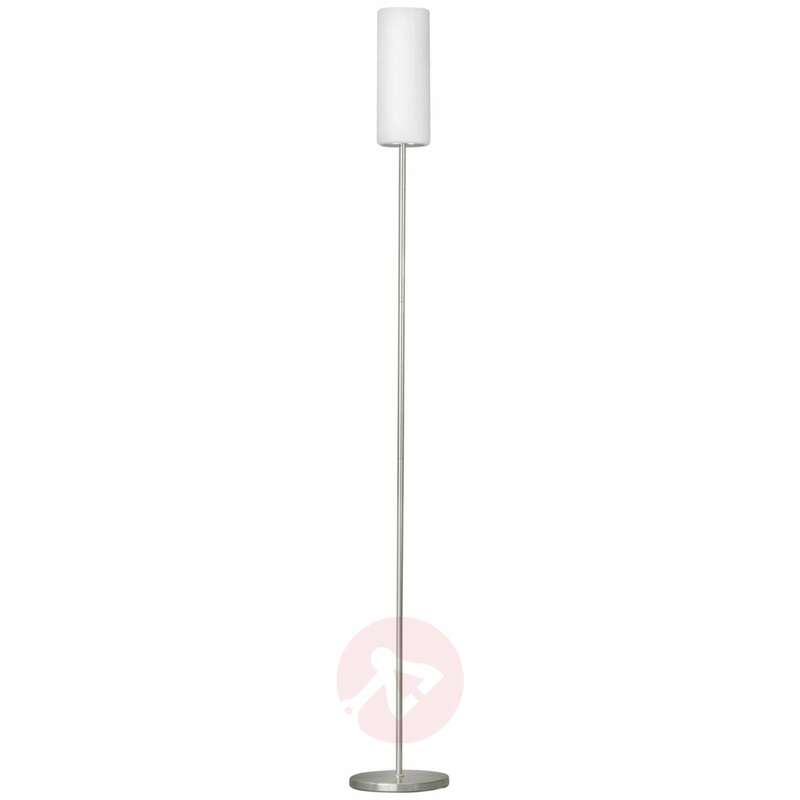 The white shade provides even, white light and thereby ensure a harmonious ambience in a multitude of living spaces. With foot switch. Easy to assemble, nice design. I am using the dim able bulb and it is working perfectly.